How will English football remember Diego Costa? After three trophy-laden but controversial years, Diego Costa’s time at Chelsea is up. The striker has agreed a move to Atletico Madrid and will formally re-sign for them in January, when their transfer embargo is lifted. The Spanish international won two Premier League trophies during his time at Stamford Bridge, scoring 58 goals in 120 appearances. 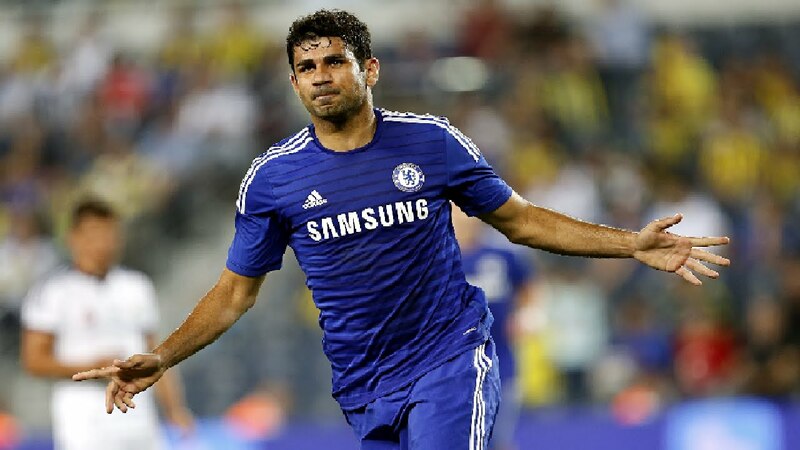 Costa seemed to embrace the role of the pantomime villain, largely cast onto him by rival fans. Even his own supporters will acknowledge he was never an easy character, and he never quite seemed at home in English football. Things came to a head in January when he fell out with Antonio Conte once his head had been turned by interest from the Chinese Super League. Conte eventually ended their relationship via text in May, telling him he was no longer part of his plans. It’s hard to pinpoint the moment when Costa became so unpopular in the Premier League. Perhaps it was his stamp on Emre Can so early on in his Chelsea career, or his role in getting Gabriel sent off in the London derby against Arsenal. In an FA Cup semi-final versus Everton, he appeared to bite Gareth Barry as the pair tussled. In spite of all that, the fact remains that the 28-year-old was the club’s top scorer in two title-winning campaigns. Perhaps he deliberately went off the boil in Jose Mourinho’s final few months, but he wasn’t the only one guilty of that. Costa is unlikely to be faultless in La Liga and Diego Simeone will not want him to be. His fiery temperament is a natural part of his game – one that shouldn’t be quashed and isn’t likely to change at his age. Now he is out of Conte’s hair, Chelsea fans can look back on some great memories with the forward, but his stay in England was never going to be a long-term fairytale.